Birds are in a daily fight for survival. Any injury or stress-induced illness will almost certainly result in death. Predators are everywhere; breeding is competitive and finding food imperative. Further, our climate is changing and habitat is being cleared at a relentless rate. In concert, the number of bird photographers has increased phenomenally in the last two decades. The actions of photographers cannot be viewed in isolation. The more photographers there are, the greater the potential for impacting the daily existence of our birds. The effects of an ever increasing human population as well as an increasing photographic community must be regarded as cumulative. "The precautionary principle is that lack of full scientific certainty [eg in relation to the impact of call playback on bird species] should not be used as a reason for postponing measures to prevent degradation of the natural and cultural heritage of a reserve or zone where there is a threat of serious or irreversible damage." By following the ethical guidelines set out below, BirdLife Photography members will ensure that their activities do not adversely affect the ongoing welfare of native Australian birds. It should also be noted that for BirdLife Photography members these guidelines on Nesting Bird Photography and Call Playback supersede any corresponding sections in the BirdLife Australia Ethical Birding Guidelines. Summary: Photographs that are NOT accepted for public viewing in any BirdLife Photography gallery, are those that depict any phase of nesting as defined below, including photos of nests with eggs or chicks, whether a parent bird is present or not. Photographs of fledglings are accepted but great care must still be undertaken to ensure that the fledglings are NOT exposed to the elements or predators and that the time to capture an image is brief. There are no metrics to prescribe the time spent photographing a fledgling bird nor an acceptable approach distance. The most reliable guide is that the fledgling(s) and parent bird behaviours are not impacted by your presence; in other words the birds go about their normal daily activities unhindered. For the purpose of this BirdLife Photography policy statement, ‘nesting birds’ is defined as the period from the start of nest building, through egg-laying, incubation and rearing of the chicks until the last young bird in a nest has fledged. 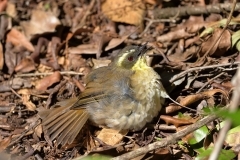 A fledgling (whether it be an atricial or precocial chick – these terms are described elsewhere) is described as any young bird that has left the nest permanently. Photographers MUST keep an appropriate distance from nesting birds. Nesting is the most critical and stressful time in a bird's life. 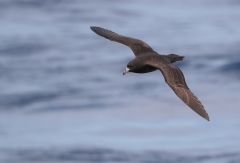 remain at a distance from the nest site, which elicits a behavioural response from the nesting bird(s) - such as ‘broken wing’ response or the nesting bird not returning immediately to the nest. act contrary to the law (see relevant sections in Appendix A, available in the downloadable version of this document). Summary: Photographers submitting photos to the digital image library must confirm that bird call playback has NOT been used to attract birds for observation or photographic purposes. The technique of bird call playback involves the use of any device, either analog or digital, that plays a part or full repertoire of bird song, which has been obtained either as a commercial product or recorded to a device for private use. The issues underlying the impacts of using bird call playback for observing and photographing birds are diverse and continue to be researched and debated. Call playback is an emotive topic, hence the arguments often raised to support the pro-case for this technique are based more upon anecdotal observations and ‘emotions’ rather than the available scientific evidence. Nonetheless, there are data showing that call playback has an impact on bird behaviour and therefore has the potential to affect the well-being of birds. Why has BirdLife Photography prohibited the use of bird call playback? adoption of the ‘Precautionary Principle’ until more evidence becomes available. 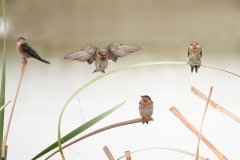 in species that do eventually habituate to call playback, this can be greater than 12 days even with constant call playback exposure, during which time birds expend energy and time not devoted to nesting, caring for their young, foraging, seeking mates and/or adequately defending their territory. encourage third parties to use call playback to attract birds on your behalf. BirdLife Photography will continue to monitor publications and recommendations in this field of research to ensure that our policies remain updated and in the best interests of birds. It goes without saying that taking an image of a bird in breach of the law is an unethical act. A substantial proportion of bird photography is undertaken in national parks and reserves. To assist BLP members in determining the activities that may or may not be legal, we have compiled a summary of the key legislation in each state of Australia, and the Commonwealth, governing the environment (eg national parks and reserves): see Appendix A in the downloadable version of this document. It should be noted that these provisions are set out as a guide only and should not be regarded as definitive of all the rules and regulations, which may govern a particular designated park or reserve. Local governments, for example, are likely to have their own set of by-laws governing communal areas, which must also be taken account of. It should also be remembered that our native bird species are protected by law throughout Australia regardless of whether they occur in national parks, reserves, local government administered areas or private land, unless otherwise stated by Commonwealth or State fauna/flora agencies. feeding wildlife (eg using food to attract birds). If in doubt, you should make an enquiry with the local agency in charge of the area you wish to visit prior to engaging in any of the acts listed above. In most instances, the relevant legislation has made provision for the issuing of licences to people to engage in particular acts in or on government land, which are otherwise proscribed by the law. The advantage of the licensing system is that any potential impact on local wildlife (of, for example call playback) of a potentially harmful activity can be easily monitored and, where necessary, managed. 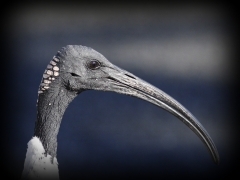 BirdLife Photography is passionate about bird photography, bird conservation, the wellbeing of our Australian birdlife and respecting the Australian and International agreements and legislation summarised in this document. Therefore, photos submitted to the BirdLife Photography Digital Image Library must adhere to this and other BirdLife Photography endorsed ethical policy statements. 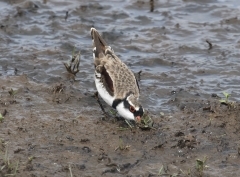 Whilst we rely on membership self regulation of these ethical principles, members are required to check a box on the Submit Photo page confirming that he/she has read, understood and complied with the ethical policies of BirdLife Photography in regard to the submission of their photo to the digital image library (this encompasses all galleries/competitions). Should it be shown that our ethical policies have been contravened, it is at the discretion of the BirdLife Photography Committee to remove that member’s photos from public view. In addition to this policy document, BirdLife Photography recommends that our members refer to the Disturbance to Birds and their Habitats due to Recreational Activities Policy and the Ethical Birding Guidelines published on the BirdLife Australia website. The main differences between our ‘Nesting Bird and Call Playback’ policy as compared to the BirdLife Australia Guidelines, apart from the level of detail in this BirdLife Photography policy document, is that the BirdLife (Australia) Guidelines do not specifically address nesting bird photography and whilst not endorsing call playback for observation or photographing birds, the guidelines suggest limiting the use of call playback. 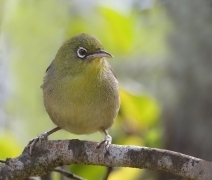 BirdLife Photography prohibits the use of bird call playback, unless formally endorsed by an Animal Ethics Committee, in accordance with the ‘Precautionary Principle’ adopted by a number of Federal and State agencies. 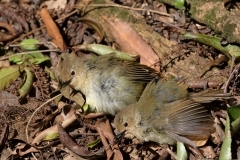 BirdLife Photography will not publish photos of nesting birds in viewable galleries. If ‘nesting bird’ photos are submitted for consideration, the photographer should state the reason(s) why the photograph is a ‘rare glimpse’ of that species behaviour and/or contributes to a greater scientific understanding of that species. In cases where these photos are accepted, they will be archived in a restricted gallery where member access may be granted by the Committee, based upon the merits of an application. 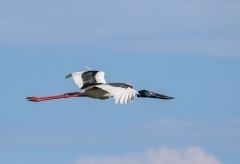 Nesting bird photos may be deemed suitable for publication in conservation articles written for the Newsletter; this is at the discretion of the Newsletter Editor and/or the BirdLife Photography Committee.